In our last blog, we began our examination of archery — the different types of bows and how to stand for the perfect shot. Today we’ll continue with more information to help any beginner navigate and better understand archery. 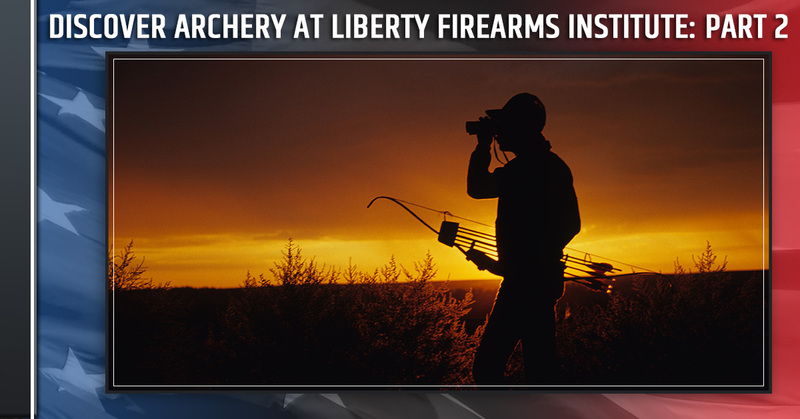 For more information on archery classes at Liberty Firearms Institute, contact us today! After you’ve found the perfect bow and arrows and the perfect stance, you can now begin with the task of loading your bow. aerodynamic part that helps guide the arrow. They’re typically composed of lightweight materials such as feathers or plastic. The fletching has three different pieces, two of the same color, and one of a different color. When you begin to load your arrow, you’ll want the lone-colored fletching facing towards you. Next, you’ll place the nock — the split at the end of the arrow — on the string of the bow until you hear it click and make contact. To make your shot in archery, you’ll want to first properly position yourself as we wrote about in part one. Tightly grasp your bow and extend it straight in front of you, but staying somewhat loose with a slight bend in the elbow. The best way to hold your bow has been described like how you would hold a coffee or tea mug. Wrap your index, middle, and ring finger around keep your thumb low. You can work with this positioning to find what is most comfortable for you. Now, drawback the bow with three fingers of the string and ensure your elbow is in line with the arm that’s shooting the arrow. Drawback the hand that is drawing the bow to your cheek, below your eyes. Finally, take a deep breath to relax and then aim and release the arrow. Stay in position until your arrow is in or near its target. In today’s post, we looked more in-depth at loading your archery bow and taking the leap, and making your first shot! 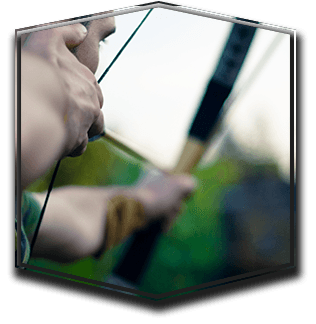 Now that we’ve covered the very basics in archery, you can practice and test your archery skills. For all of your archery needs including lessons and practice archery lanes, stop by Liberty Firearms Institute today for the best in a local shooting range in the Loveland and Ft. Collins area!